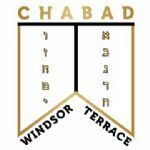 Partner with Chabad of Windsor Terrace! Chabad of Windsor Terrace serves the observant and the non-observant, the affiliated and non-affiliated, young and old and all in between. CWT reaches out to all who are in need and assists them with their educational, emotion and financial needs. CWT serves the community at large by offering programs and classes for all ages. From toddlers to seniors, all have a place and feel welcome at Chabad of Windsor Terrace. While we are committed to strengthening Jewish identity, unity and commitment, we cannot do this alone. We count on support from people known for their benevolence, sincerity and sensitivity to the needs of all mankind.